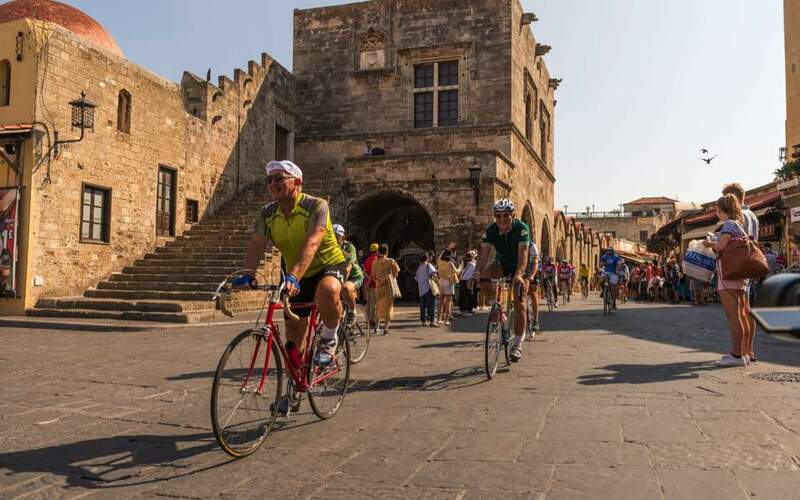 Cyclists are seen riding through Rhodes Town during the vintage bicycle race ‘Historica,’ held on the Dodecanese island this week. Through the ages Greece has established a significant footprint and an inspiring legacy in the arts and culture. Hardly a day goes by when we do not recognize something in the modern arts or culture whose fundamental aspects have their roots in ancient Greece. Renowned Greek philosophers, architects, sculptors, poets and playwrights have all left their mark. Familiar names such as Plato, Aristotle, Socrates, Sophocles, Euripides, Aeschylus, and many, many more. All have made remarkable contributions over the centuries to the arts and culture and have left an indelible imprint through the ages. As a visiting professor at the International Writers and Translators’ Center of Rhodes (IWTCR) this summer, I had the unique opportunity to witness first-hand the Greek passion for incubating, nurturing and promoting the arts and culture. The IWTCR serves as a beacon for implementing Rhodes’s cultural policy. It is under municipal jurisdiction and is administered by a handful of dedicated professionals. A short list of their annual cultural and artistic events includes a writers’ workshop, music recitals, school outreach programs, screenings of award-winning movies and videos, book launches and translation workshops. The IWTCR has done a commendable job, even during the challenging period of the recent Greek economic crisis, to ensure that the arts and culture not only survive but thrive and flourish on Rhodes. The Aegean island of Rhodes is one of the larger Greek islands. The capital city, also called Rhodes, is home to a UNESCO world heritage site which is the the oldest continuously inhabited medieval town in Europe. Rhodes is a city where natural beauty, a rich history, a dynamic community and a flourishing cultural scene merge to create a powerful synergy of cultural and artistic expression. Indeed, Rhodes has become a role model when it comes to promoting a visionary cultural policy and supporting a vibrant arts scene. Rhodes proved inspirational for acclaimed authors Lawrence Durrell and Gustave Flaubert. The wartime British Prime Minister Winston Churchill visited the island on several occasions, accompanied by Greek shipping tycoon Aristotle Onassis, and spent many hours painting its landscapes. At the IWTCR, I interacted on a daily basis with a talented and creative group of individuals who are shaping the modern face of the arts and culture. This group included a Greek saxophonist from Athens who performs, composes and is the founder of the UN Jazz Democracy initiative, a movie scriptwriter from St Petersburg in Russia whose film received the 2017 Un Certain Regard special prize at the Cannes Film Festival, as well as a British translator of the works of Plato who is a descendant of renowned philhellene Lord Byron. There was also a Canadian economics professor who invented the new concept of internetization, a writer from Romania who was awarded the 2015 prize for the best new young author, a New Zealand animated film maker who received the prize for best animation at the International Festival in Rome, and a Greek primary school teacher from Thessaloniki who has written seven novels and has been awarded the Hellenic Author Society Prize for 2015 and the Demertzi Prize. It was evident that the IWTCR is serving as an incubator for the next wave of significant contributions to the arts and culture worldwide. At the core of the Greek approach to culture is the word “philoxenia,” a word that has its roots in ancient Greek phraseology. It is also a word that stands out because it does not have an equivalent in any Western language. The literal translation of the word is “welcoming of foreigners.” But it has a deeper and broader cultural connotation. It embraces an ethos, a concept and a mind-set. It denotes a global outreach, comfort with diversity and a cultural ethos of embracing universality. Philoxenia projects comfort with engaging with the rest of the world, seeking a global context instead of limiting society to its local environment, and good will toward international cultural outreach, all while serving as an incubator for a diversity of perspectives and ideas. To my way of thinking philoxenia is at the heart of the unique Greek approach to protecting and promoting the arts and culture. Since the advent of the Golden Age in Greek antiquity, Greece has made significant contributions to the arts and culture. What is remarkable in this journey is that despite wars, natural disasters and economic crises, Greece has never faltered in its mission to support, nurture and promote the arts and culture. Indeed, Greece has been resolute in achieving the ambitious objectives of its cultural policy. In fact, at the height of the recent economic crisis, Greece was bankrolling the cost of instructors to teach modern Greek studies at several Canadian universities, including my own, the University of New Brunswick. All of this is grounded in a foundational and unwavering cultural ethos. It is based on the principle that supporting the arts and culture is not a luxury but an investment in human progress. It is the necessary scaffolding for building and maintaining civil society. It is the cornerstone for human progress and development. Since the glory days of ancient Greece, rulers have embraced culture as an important component of their mandate to govern and in the process have endowed humanity with great works of art, literature and culture. Inherent in this governance model is the recognition that supporting and funding the arts and culture is not an expense but an investment in aesthetic development and the progress of civilization and humanity. 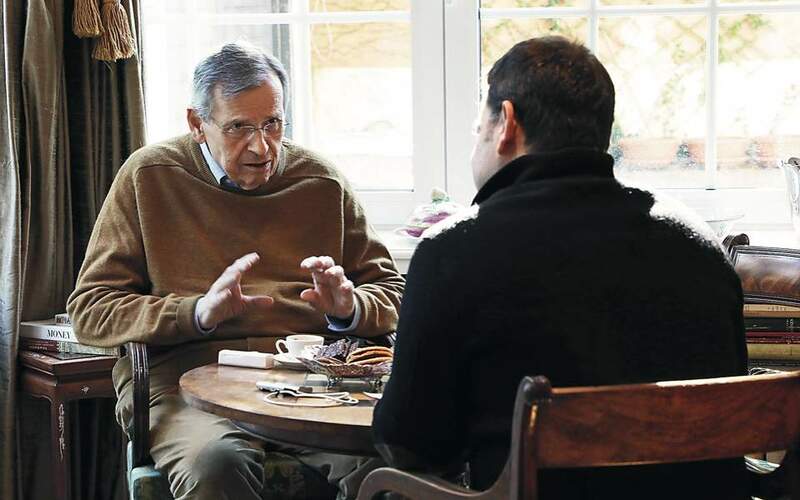 Dr Constantine Passaris is a professor of economics at the University of New Brunswick (Canada) and an Onassis Foundation Fellow (Greece). He was a visiting professor at the International Writers and Translators’ Center of Rhodes (IWTCR) in summer 2018.